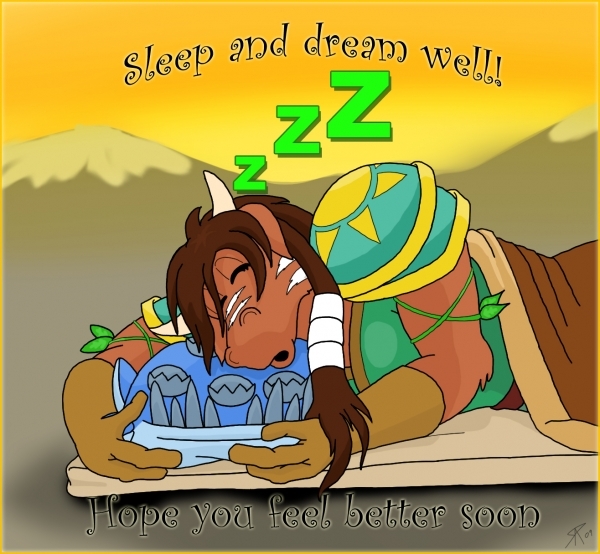 This was drawn for a friend who seemed to be feeling abnormally ill as a "Get Well" card. I'm rarely comfortable when drawing another artist's characters, so these are always a bit iffy for me, but they're still fun. They're also just generally good practice for a cartoony style. Drawn and colored in Sketchbook Pro, lettered in Photoshop.